- Google has launched Placement Performance for AdWords providing advertisers detailed information on how each site within their buy is performing. - TNS Media Intelligence has revised its 2007 ad forecast downward from a previously predicted growth rate of 2.6 percent to 1.7 percent.for a total spend of $152.3 billion within the media it measures. 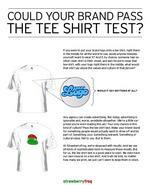 - Oh JWT, how we feel for you. It seems Ford doesn't think it's getting all it can from the agency and has reached out to two WPP sibs for new ideas. We said it last year; your move was not bold. - Well this is logical. Since television rations are sliding downward because of new Nielsen metrics discovering reduced viewing levels, the networks want brands to pay even more for even less during this year's upfronts. 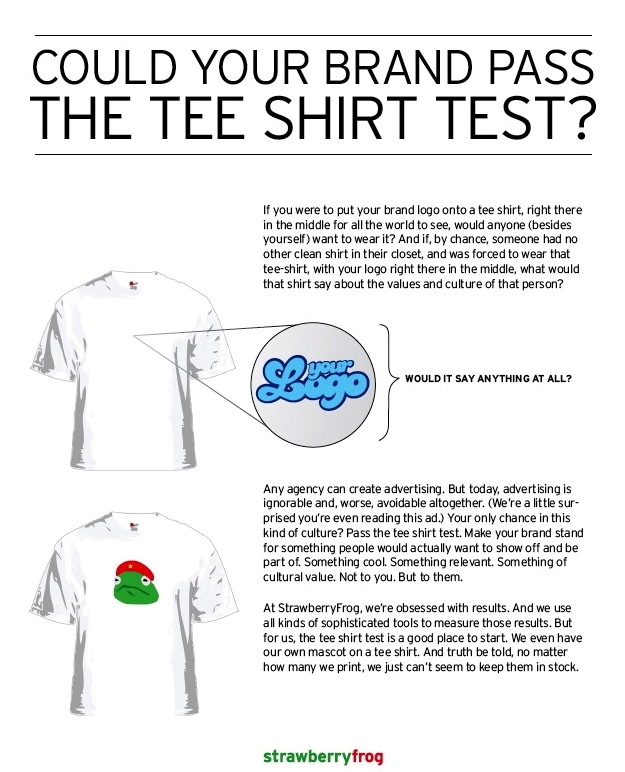 - Copyranter thinks Strawberry Frog's new self promoting "t-shirt test" ad is properly filed under his "agencies are stupid" category. - Personal Life Media CEO is featured on DoubleClick's NerveCenter series to discuss the world of social marketing.